Winner of the 2015 J. W. Dafoe Book Prize for the best nonfiction book on Canada, Canadians, and/or Canada's place in the world. 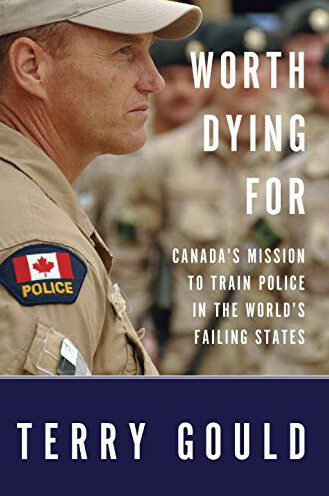 Published on the twenty-fifth anniversary of the RCMP's first international police training mission, Worth Dying For: Canada's Mission to Train Police in the World's Failing States is a brilliantly reported account of a year in the life of our "CivPol" contingents in Afghanistan, Palestine and Haiti. It is also an intimate portrait of the idealism and courage with which our police officers undertake this complicated and dangerous work, brought to us by the only journalist ever granted unfettered access to these missions. Worth Dying For - those three words capture the remarkable dedication that Canadian police officers bring to international missions most of us know little about. We may be aware of the sacrifices made by Canadian soldiers who died in Afghanistan, but how often do we stop to ask what happens after the troops move out? Once the war is over, how do countries with so much going against them begin to create a better life for their citizens? Prize-winning Canadian investigative journalist Terry Gould has come to believe that the most significant tool in securing justice and stability for people living in states in crisis is a police force resistant to influence and corruption. Gould brings to light the remarkable Canadian men and women working in three crucial missions, whose determination was equal to anything these treacherous places threw at them. They risked their own physical safety and they also witnessed police officers they had mentored sacrificing their lives so that their fellow citizens could receive justice. Worth Dying For is full of terrible realities, but it is also full of heroes-Canadians, yes, along with men and women raised in places that might have turned them into pawns and victims, or criminals, who strive to create a reliable security net for everyone, no matter the odds or the dangers they face. In covering these missions Terry Gould has created a work that inspires us to action, and to hope. "Mr. Gould is a singular investigative journalist, more intellectual than most of his colleagues and certainly a finer writer -- and a broader one.... We're lucky to have a reporter such as Mr. Gould." -- George Fetherling: Diplomat magazine's review of Worth Dying For.